The majority of tile and grout surfaces need a deep cleaning every four to six months. If that's too tough for you, think about working with a professional home cleaning company to handle this undesirable job for you. They have the products and devices to do the task right and you will not have to spend hours on your hands and knees, scrubbing for all you're worth. 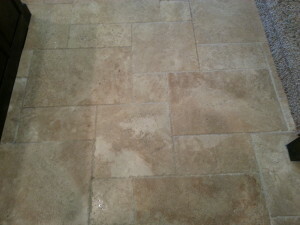 Expert cleaners are the best and easiest way to guarantee that your tile and grout cleaning is hassle-free!